Few speeches receive as much attention before their delivery as British Budget speeches. And when that Budget speech, delivered by the UK Chancellor of the Exchequer, is deemed an emergency budget speech then the sense of anticipation is palpable. The new Chancellor, George Osborne MP, has sought the advice of previous Chancellors in the run-up to this, his first budget speech. Their views are unanimous. A well-received budget is bad for the economy; and a poorly-received budget is good for the economy! So, pain is good when you are the Chancellor. Thus, with the voices of earlier incumbents ringing in his ears, George Osborne’s emergency budget speech had better be tough. Because people will analyse, dissect and probe this budget speech far more than any other speech you can expect to give. So, his immediate audience and also the entire country will assess every comment, detail and nuance. That’s some ordeal. And, of course it’s quite different from his reasons to be cheerful speech in February. The entire performance is slightly odd. That’s not least because we now have a coalition government comprising Conservatives and Liberal Democrats. Surely, that can’t last, can it? And then we have the apparent fiscal mess left by the previous government. And, of course the Treasury in particular. One has to wonder whether it’s really as grim as the Chancellor suggests it is. It’s a surreal public speaking event, but one that always generates interest. And, now you can read how we got on with the George Osborne budget speech. 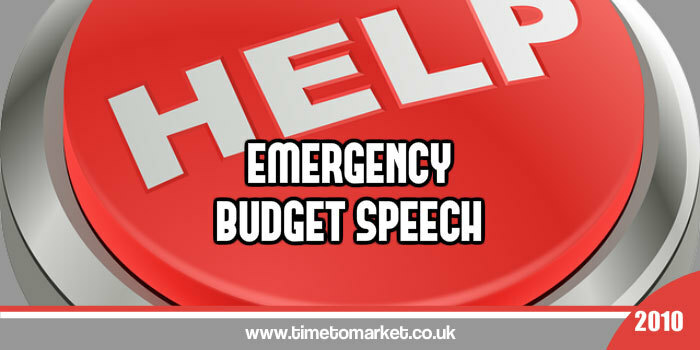 Emergency or not, you can find just about any public speaking tip you need with our regular series of tips for public speaking, podcasts and training videos. And, when you are ready to fine tune your own public speaking skills you can always join us for training or coaching. Or, as an alternative we can come to your offices and train your team with a corporate public speaking course. So, please don’t hesitate to get in touch when the time is right.